Ha!!! Oh, that brings back some memories. Cute little stinkers. 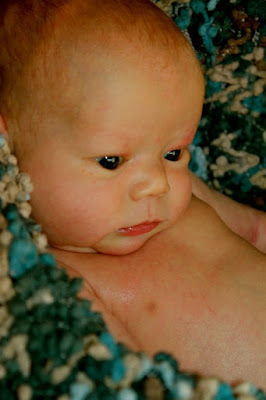 I had to change Madelyn's clothes about 7 times a day when she was a newborn...Jack has such an adorable round face! And I'm sure all this was AFTER getting your older boys off to school, right? Jack is such a cutie! Sounds like a typical morning.